All right folks it PTI anniversary time!! That means fun and challenges for the next 10 followed by an exhausted lull that can be heard throughout craft-land. My first card is inspired by Danielle's whole picture. I picked an element here and there. 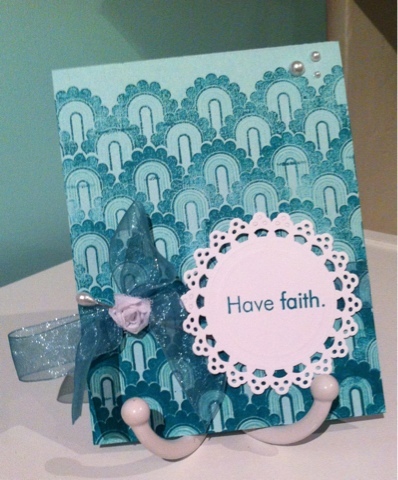 BB rainbows, doilies, pearl pins and aqua mist. I mashed them all together into my first card. The stamping on the card base was done with the same colour ink. Stamped once on the top, twice around the middle and three times on the bottom. Could be neater...oops!! How pretty, Rose! I love the tone-on-tone effect. Thank you so much for playing along! What a pretty card, rose. 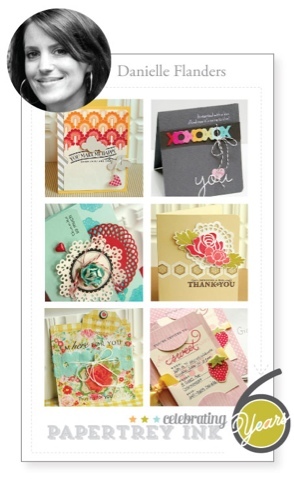 I like the tone on tone rainbow stamp, and your bow is so pretty. P.S. Did you know you have word verification on? Eeeek!! How annoying thanks for letting me know...it's fixed now! !